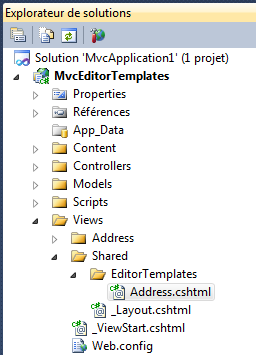 In MVC 3 you can implement an IFilterProvider to create and feed action filters to the MVC runtime. Assuming you have the configuration classes in place from the last post, you can create a custom filter provider to add action filters to the MVC pipeline. Notice a filter provider receives context parameters it can use to determine if it should create a filter, or not. In this case we are creating global filters from whatever we find in the web.config file, so the parameters are left untouched. MVC 3 is becoming hugely popular thanks to Razor and the Helpers that make building web applications much easier. One of the common requirements in web development, both with web forms as well as MVC based development, is the cascading dropdownlist. Now, for Web Forms, we can use a variety of options viz. server side programming, jQuery or using the AJAX Control Toolkit’s cascading dropdownlist control for accomplishing this. I saw a few samples on the internet that used the erstwhile Microsoft AJAX Library along with MVC and also few more samples which used hard coded values for wiring up the cascading dropdown. I have built this sample using Database with 3 tables i.e. Cars, Makes & Colours. First, lets create our MVC 3 Application using “File – New Project – ASP.NET MVC 3 Web Application” give it a name “CascadingDropdownSample” and select the “Internet Application” and click ok. This would create the basic scaffolding structure with Membership API. We won’t need it though. As always with MVC, lets build the Model by right click Models Folder – Add – New Item and search for ADO.NET Entity in the search box of the Dialog. Chose the ADO.NET Entity Data Model Template and give it a name CarModel.edmx and click Add. Choose the “Generate from Database” option and in the Next steps, connect to the CascadeSample database and select all the 3 tables and then finish the steps to generate the Entity Model. Our Entity Model is now ready. Next step is to start wiring up the Controller Actions. For the purpose of this simple demo, lets just use the default HomeController. Lets add using CascadingDropdownSample.Models; to the namespaces in the HomeController. Lets add the following within the Index Action. When we run the page, we will get to see the List of cars in the dropdown. For the next set of actions i.e. populating the Model and Colour, we need the following Methods. The next main thing we need is Action methods which can send a JSon Result for both Models and Colours. And then, when we build and run we can get to choose the Car, Model and Make, a cascading dropdown built using jQuery and MVC 3. You can download the scripts here. /// to render a partial view and return the result as string. /// Renders a (partial) view to string. In this tutorial, I will show you how to use EditorTemplates in ASP.NET MVC 3. Street = "34 Vosges street"
Street = "13 Leclerc street"
Street = "01 Garden Street"
Here, we strongly typed our View with our model (Person). (Of course it’s not mandatory to use strongly typed view if you want to use EditorTemplate). We want to be able to display the Person with all its addresses. We call the Html helper EditorFor. For each Address object in the list, Razor will call the Address template.